Merry Christmas! Feliz Navidad! Jüoyeux Noel! Mele Kalikimaka! 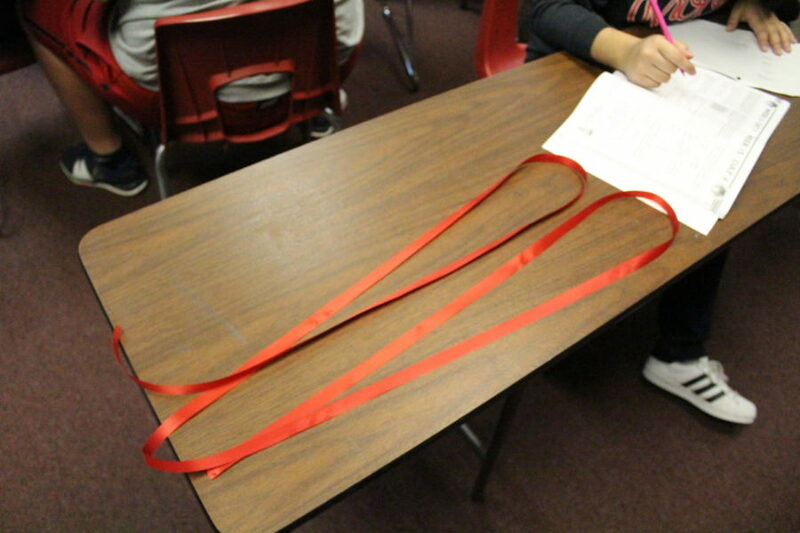 Step 1-Cut a long piece of ribbon (double the length of your hair). 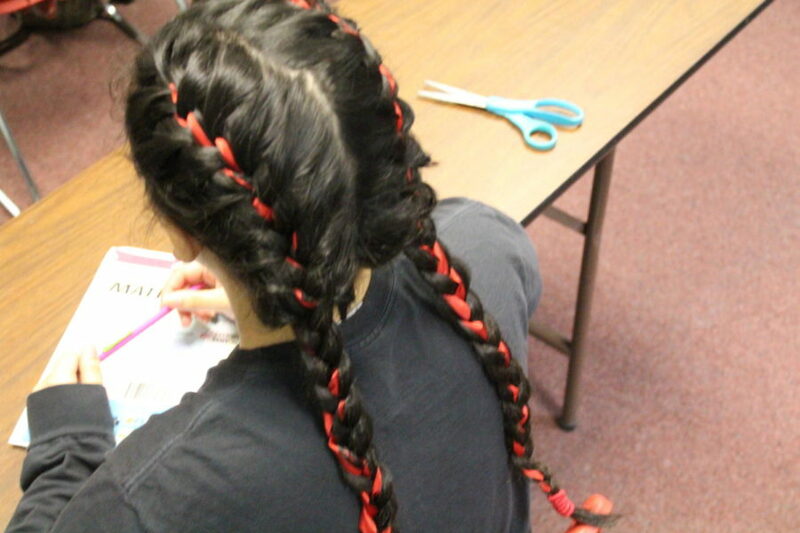 You will need to cut two ribbons like this since we are doing two french braids.